24th January 2019 - season now over. Please come back in September. 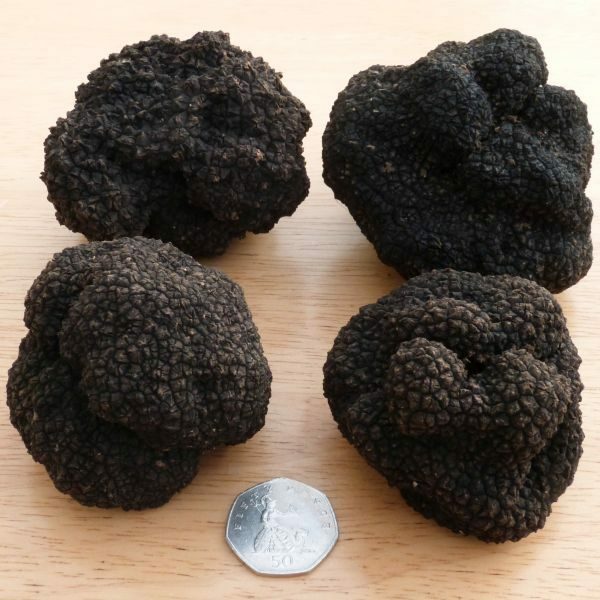 We harvest these Black Autumn Truffles (Tuber uncinatum) from around September to January or February, the end of the season being determined by the weather. They have a delicious nutty flavour and aroma, this increasing through the season as the flesh darkens. Our black truffles make excellent eating whether sliced or grated raw over simple ingredients such as eggs, pasta, rice, chicken or fish, or when cooked. They are sustainably harvested from Dorset and Wiltshire woodlands using trained truffle hounds and sent quickly to you – no air-miles here! To ensure you have the freshest possible truffles, we do not hold any stock but will supply them when we next gather any – usually every week. Typically they are with you within 48 hours of harvesting for the best possible experience. We primarily supply direct to the public. Previous customers have included Hugh Fearnley-Whittingstall and Hairy Biker, Si King. Our truffles are included in River Cottage Head Chef, Gill Meller’s book, Gather. We also supply a limited number of wholesalers, leading restaurants and pubs. 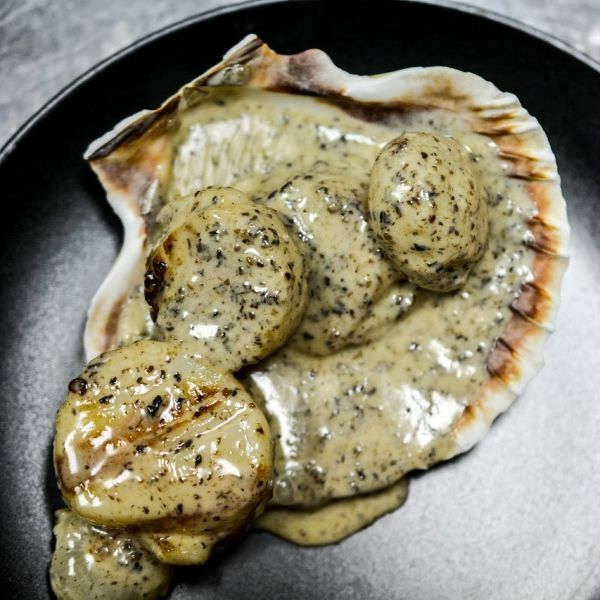 Our trade customers have included The River Cottage Canteens, Hix restaurants, Native and The Kingham Plough as well as companies producing truffle products including TruffleHunter and Honeys of Henley. 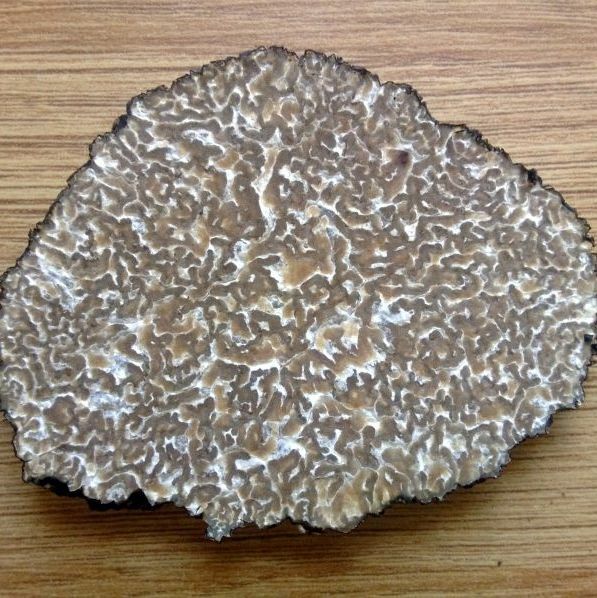 Every truffle sold is fully traceable back to the site where it came from and when it was harvested. 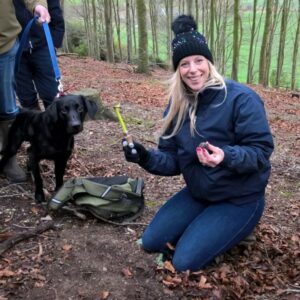 To ensure you have the freshest possible truffles, typically we do not hold any stock but will supply them when we next gather any – usually every week. This means in general, we do not send out truffles on the day that they are ordered. If you require them for a specific date, please order well in advance and tell us in the “Order details” at the check out. For most dishes you will require 8 – 12 grams per person. A starter will want less than a main course. A 50 gram truffle is about the size of a large hens egg. 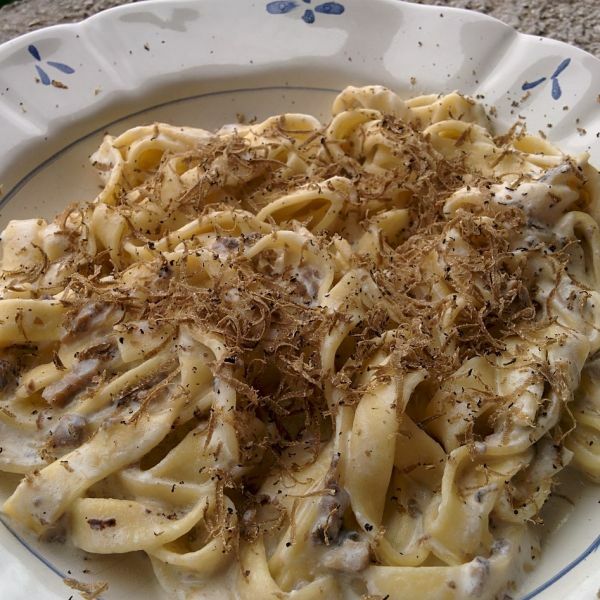 Your order may be made of more than one truffle, or a piece from a larger one. Fresh truffles have a limited shelf life so it is important that you care for them once they are with you. Learn more about caring for your truffles here. We can also send truffle gift vouchers by email if you would like to give a truffle as a present to be used at the recipient’s convenience (subject to availability). Please note, we only send truffles to UK addresses. Truffles are a fresh product and we aim to get them to you as fast as possible. They are only available from September to January or February; the end of the season being determined by the weather. To ensure you have the freshest possible truffles, we do not hold any stock but will supply them when we next gather any – usually every week (in the season). This means in general, we do not send out truffles on the day that they are ordered. If you require them for a specific date, please order well in advance and put the details in the “Order notes” at the checkout. We use a Royal Mail Special Delivery Guaranteed ® by 1pm (next day) service. This delivery requires a signature and will not be left without it or taken to a neighbour etc. You can choose a different shipping address at the checkout and have your truffles delivered to another address such as your work. We will send you the delivery tracking link. Saturday deliveries are available for an additional £5 charge – please get in touch if you require this. A delivery address where someone is in to sign for the package. They are delivered with your post on weekdays. We will contact you when we your truffle is ready to dispatch. Please note the season is September to January. If you have a voucher with a code that looks like etc5a8706b386c89, this is a ‘new style’ code. You can order your truffles directly from this page. Please enter your voucher code on the basket or checkout page.